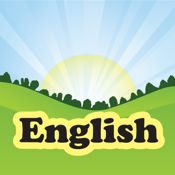 Looking for a fun and effective way for your child to jump start their knowledge of the English language? Give them a head start hearing and speaking the English vocabulary at a time when their growing brains are literally "language learning machines". "Adventures for Kids" uses the power of the computer and attraction of a video game to open your child's mind to basic English words - all while having fun! Your child will tag along with Lucy and Max on their fun adventures through space, the zoo, the farm, the city, and much, much more. This interactive game will heighten your child's interest level and make your child truly feel like they are taking part in the adventure, ultimately making learning fun while increasing retention. Watch how quickly your child learns as words and objects are associated by sound, vision, and touch through the interactive "hear and find image" mode. This makes "Adventures for Kids" an effective learning tool for English and non-English-speaking households. "Adventures for Kids" is designed to entertain and educate children in just minutes a day. You can play this game with your child or let them explore on their own. This program is so clear and intuitive that they'll be building their vocabulary vault in no time. And don't be surprised when they start using new words each day. If you're looking for a fun and easy way to strengthen your child's English vocabulary, then you've found the perfect solution! Also, broaden your child's horizon by trying out "German Adventures for Kids." "Spanish Adventures for Kids," and "French Adventures for Kids" coming soon. Learning languages just became easier.